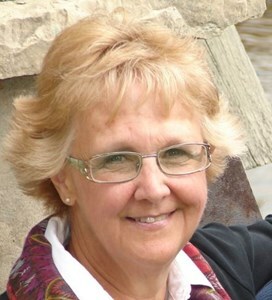 Jacinta (Cindy) Oliver, 65, of Green Bay, WI, beloved wife of the late Steve Oliver also mom, grandma, sister and friend was called home peacefully, surrounded by her family on Thursday, April 4, 2019. Cindy was born September 25, 1953 to Edmund and Clare (Tarkowski) Blavat. She will be remembered for her love of life and family. She enjoyed spending time with family and friends, especially if it included hanging out on the patio listening to oldies and singing along. She loved to cheer on her beloved Green Bay Packers and found a new passion of online shopping. Cindy loved caring for her household and her three wiener dogs, Iggy, Cubby and Wrigley. She was sarcastic, funny and the kind of gal who was easy to love and even easier to talk to. Cindy is survived by her three fabulous children, Michael Oliver and his significant other Sara Clark and his children Hannah and Emma Oliver, Christy (Chris) Naniot and their children Thalia and Nolan Naniot, and Julie (Chris) Michiels and her son Jake Wessley. She is further survived by her siblings Bonnie (Larry) Delforge, Connie (Bill) Paczkowski and Lisa (Dan) Huot; along with sister-in-law Marie (Ray) Ferguson, brother-in-law, Larry (Gayle) Oliver, and many cousins, nieces and nephews. She was preceded in death by her beloved husband, Stephen Oliver, father, Edmund Blavat, and mother, Clare Blavat, as well as her father-in-law, Francis Oliver, mother-in-law, Dorothy Oliver, brother-in-law, Mark Oliver and sister-in-law, Stella Sudduth. Visitation will be held on Sunday, April 7th from 2 PM - 5 PM at Newcomer - Green Bay Chapel, 340 S. Monroe Avenue, Green Bay. Visitation will continue on Monday, April 8th from 10 AM - 11 AM at St. Agnes Church with a Mass of Christian Burial to follow at 11 AM in the Church Sanctuary. To leave a message of remembrance please visit www.NewcomerGreenBay.com. Cindy had a love for friends and family and would want us to celebrate her life and love. The Cindy Oliver family would also like to extend a special thank you to the Cancer Care Team at Aurora Vincent Lombardi Cancer Clinic, the staff at Oak Park Place and Unity Hospice Meng Facility; their care, support and empathy provided Cindy many quality months following her cancer diagnosis. In lieu of flowers a memorial fund will be established in Cindy’s name. Add your memories to the guest book of Jacinta Oliver. I am so sorry for your loss! Cindy was a special women. My deepest sympathy to the entire family! I thankfully have many years of memories of times spent with Cindy and Steve I can draw on, she will be forever missed and never forgotten. Thanks for all the good times Cindy.